Where will you celebrate Cinco de Mayo? Dancers celebrate Cinco de Mayo. 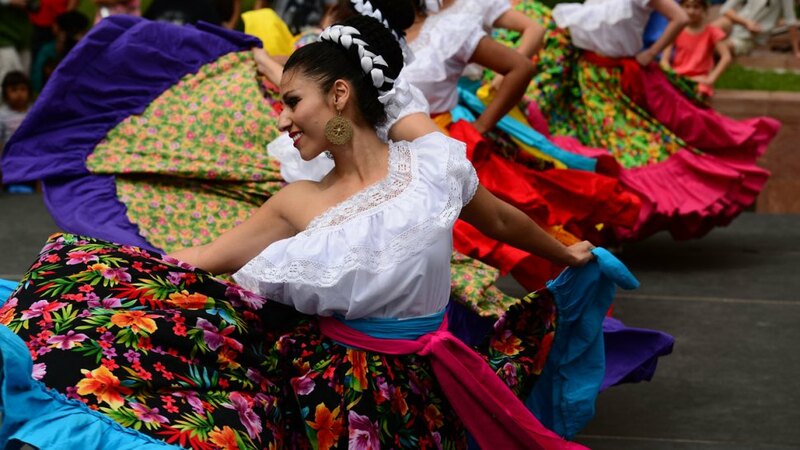 If you live in a major city, chances are you can find a little taste of Mexico for Cinco de Mayo this year, whether you're looking for tampiqueña, mariachi music, or cultural murals. Here are a few of the most authentic Mexican corners across the country. 1. Chicago’s Pilsen Neighborhood: Known for its Mexican cultural murals, musical history and religious imagery, the Pilsen neighborhood is located in the southwest corner of Chicago. If you are looking for a place to spend time wit the family over some amazing Mexican food, this is the place. 2. New York’s Spanish Harlem: There’s a thriving Puerto Rican community inside Manhattan’s 103rd street to the south and Lexington Avenue to the west, where you’ll find street art, small eateries, ethnic stores and holistic shops. In the last few years, a strong Mexican presence has been taking hold in the neighborhood as well. 3. Dallas-Fort Worth's El Ranchito Restaurant: One of the most emblematic Mexican restaurants in the DFW area is El Ranchito. If you want to enjoy a mouthwatering Tampico club style steak (known as a tampiqueña), green enchiladas, or a variety of Mexican style grilled meats (parillada), you’ll want to go here. You can also enjoy some handmade tortillas. Don’t be surprised to see mariachis playing here. 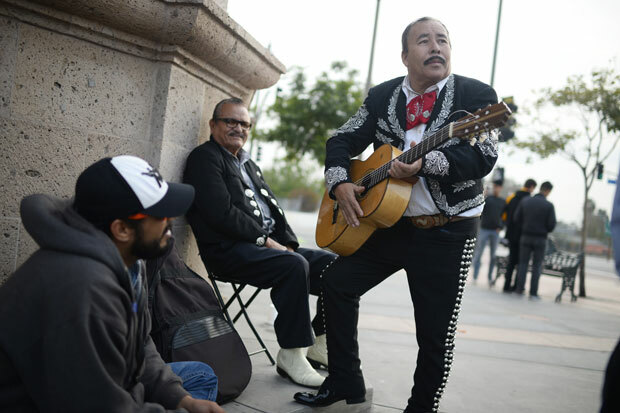 A mariachi musician plays his instrument at Mariachi Plaza in the Boyle Heights section of Los Angeles, California. 4. San Antonio’s Alamo Street: Alamo Street, which runs between Hemisfair Plaza to the convention center, is one of San Antonio’s most touristy spots in the center of the city. Here, you’ll find authentic Mexican stores, restaurants and bars. 5. San Antonio’s Market Square: This market is in a commercial area that represents Mexican culture. From Alameda Museum to the Pico de Gallo restaurant, Market Square offers a little piece of Mexico. 6. Talavera Restaurant: Talavera Restaurant is one of the most representative restaurants of Mexican cuisine in the Miami area, decorated with large vases made in the traditional Puebla ceramic style that were popular during colonial times. Here, you can find traditional and modern interpretations of Mexican food, plus dishes from different regions of Mexico. 7. Houston Casa Ramírez: At this Mexican artisanal store in Houston, you’ll find regional folklore pieces, from Mexican-style skulls to religious candles. Every season is on display here, including elaborate altars for the Day of the Dead and piñatas for Christmas. 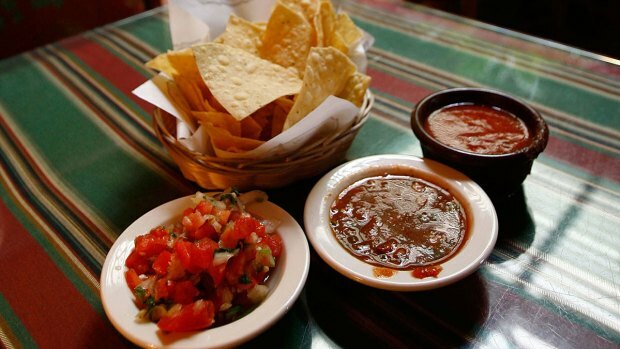 Pico de gallo sauce is a Mexican-food staple. 8. Old Town San Diego: Old Town is an area that seems to have been stuck in time when San Diego was still a part of Mexico. You’ll find details from a different period, with dirt roads and people dressed in the style of that era. The historic park and the surrounding areas are very popular with tourists because of its Mexican restaurants. 9. Plaza del Mariachi: Located in the Boyle Heights neighborhood of East LA is Plaza del Mariachi, the equivalent of Plaza Garibaldi in Mexico City. Since the 1930s, mariachis would congregate on this corner to offer their services to whoever needed them, a well-known tradition in Plaza Garibaldi. Today, you’ll only find mariachis on weekend. 10. Placita Olvera: Situated right in the heart of LA and known as the birthplace of the city is La Placita Olvera, which was made in the style of the plazuelas of Sonora. Within Olvera Street there are 27 historic buildings. In 1930s the street was closed and converted into an outdoor market. Today, the plaza is used by the city and the Hispanic community for celebrations, musical events and dancing, including Cinco de Mayo celebrations.